1.1 These general conditions apply to all offers of Stationery Heaven. The conditions are available for everyone and are included on the website of Stationery Heaven. 1.2 By placing an order you indicate that you agree to the terms of delivery and payment agreement, including the Privacy Statement. Stationery Heaven reserves the right to change its terms and / or conditions after expiry of the term. 2.1 Stationery Heaven reserves the right to change prices. Prices at the time of placing an order are valid throughout the sale process. At times where software or human error for example indicate a clear failure rate to a product, Stationery Heaven reserves the right to cancel the order. Obviously, you will be informed. 2.2 All prices on the site are subject to misprints. For the consequences of misprints no liability is accepted. 2.3 All prices on the site are in Euros and include 21 % VAT. 3.1 Delivery takes place while stocks last. 3.2 All packages are shipped insured. If your package and / or contents is damaged on arrival, please report it to the courier upon delivery. If it appears that the delivered is wrong, inadequate or incomplete, you must (before proceeding to return to Stationery Heaven) immediately report to Stationery Heaven about these deficiencies. Any defects or faulty goods should and can be reported in writing up to 7 days after delivery of Stationery Heaven. Do not use uninsured shipping with the return of goods to Stationery Heaven (packages that are lost, will not be reimbursed). 3.3 Stationery Heaven follows the general postal rates of Post NL. 4. Under 18 years old? 4.1 If you are under the age of 18, you’ll need the consent of parents or guardian to do purchases in this shop. 5.1 All illustrations, photographs, drawings, etc., eg data concerning weight, dimensions, colors, graphics, labels, etc. on the site of Stationery Heaven are only approximate, are indicative and may not lead to damages or rescission of the contract. 5.2 All content on this site, such as text, graphics, logos, icons, images, audio clips, digital downloads, data compilations and software is the property of Stationery Heaven and / or its suppliers and is protected by international copyright laws. This site or any parts thereof may not be reproduced, duplicated, copied, sold, resold, visited, or otherwise exploited for any commercial purpose without the express written permission of Stationery Heaven. 6.1 Offers are not binding, unless otherwise stated in the offer. 6.2 Upon acceptance of an offer by the buyer, Stationery Heaven reserves the right to cancel the offer within 3 workdays. 6.4 Stationery Heaven offers do not apply automatically to repeated orders. 6.5 Stationery Heaven can not be held responsible if the customer should understand that the offer or any part thereof, isan obvious mistake or error. 7.1 Stationery Heaven is not responsible if and when she can not fulfil her obligations due to force majeure. 8.1 All agreements are subject to Dutch law. 1.1 Stationery Heaven respects the privacy of the users of the website and ensures confidentiality of your personal information. All personal information you provide is used for the purpose of giving the best possible service. 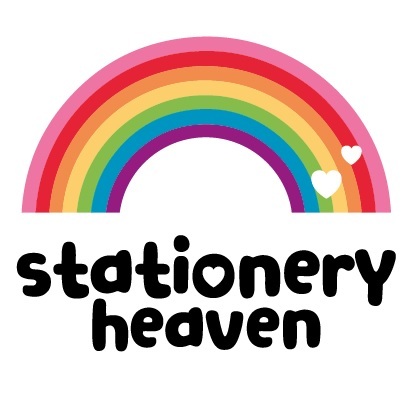 1.2 If you place an order with Stationery Heaven, your data will be included in the customer base of Stationery Heaven. Stationery Heaven adheres to the Data Protection Act and will not provide your information to third parties. 1.3 Stationery Heaven sometimes makes use of a mailing list. Each mailing includes instructions to remove yourself from this list. 1.4 Unless we have your express consent, we will not publish your personal information to third parties. We will not sell, rent or trade your personal information to others for marketing purposes without your explicit consent. 1.5 We may provide statistical data on the use of our web shop , such as traffic patterns and related site information gathering, but this information will not contain personally identifiable information.